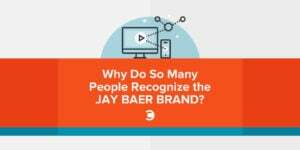 Why Do So Many People Recognize the Jay Baer Brand? Seth Price and I wrote (and designed) a book together. 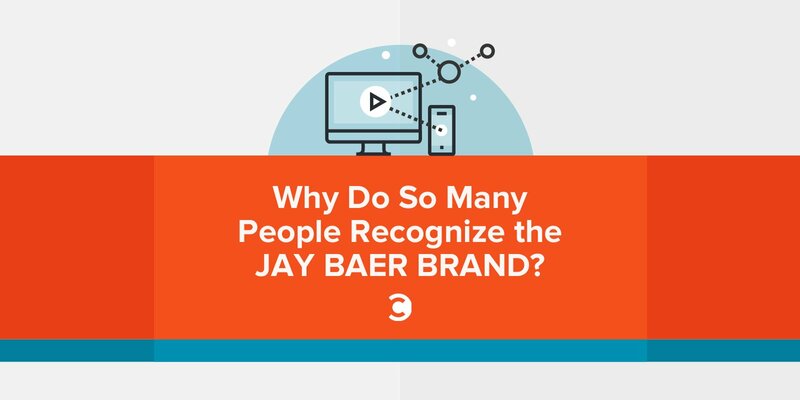 He and I just got our buddy Jay Baer online to talk about its topic: personal branding. ‘Twas a quickie and a fun little three-way interview. 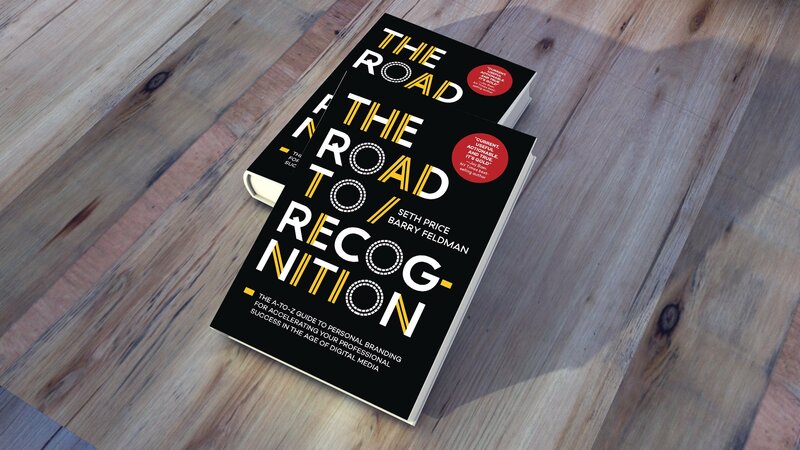 See, in addition to releasing The Road to Recognition: The A-to-Z Guide to Personal Branding, we’re creating plethora of bonus content including a series of interviews with “Recognition Rock Stars,” like Jay (don’t call me Drew Carey) Baer. After bantering about which celebrities Jay is accused of looking and sounding alike, the beauty of baldness, and a vulgar book title that sometimes appears when Seth does a search for his name, we got to talking about the history, and development of, a brand called Jay Baer. Highlights from the 24-minute interview are below. Seth: I discovered you watching you speak. You command the stage and tell stories that relate to customer service and marketing in a way that I hadn’t seen before. How did that evolve? You just didn’t wake up one day and command the stage. You seem to have perfected the craft. Jay: I appreciate that. Yes and no. My mom is an English teacher. My dad is very effusive. My aunt is a big-time corporate trainer. So I wasn’t raised in a house where people were shy about speaking, and I just always was okay with it—never scared. As a sophomore in high school, I was the guy who was the MC of everything, like every pep assembly, every talent show. But once I started doing it professionally—and it wasn’t just sort of a hobby—and was like, “Yeah, this is actually a significant part of what I do,” then it’s just being smart about it, and practice, and practice, and practice. I’ve got a tremendous number of great coaches who I work with all the time. But I will tell you where the big shift to me was. You mentioned storytelling. Probably five years ago or so, I was talking to a couple of coaches and they said, “You have lots of stories.” They’re like, “Why isn’t that story in one of your talks?” That was a huge kind of light bulb for me. I just am working on a new talk right where it’s the same kind of thing. It’s actually more of a stand-up style approach. With most stand-ups, especially in modern comedy, it’s almost always self-referential and self-experiential. So I try to do that now more and more. In my speaking, it has actually really worked out, but it was very, very hard to do that for a long time. Talk to us about some of the lessons that you’ve learned with regard to networking. Jay: I am deceptively youthful-looking, but an old man. So I started doing all this in the pre-internet days, or at least very, very early when nobody actually knew what the internet was. When I used to live in Phoenix, for years, I went to at least four networking events every week. So I would go to 200 a year. It got to the point when I knew everybody in Phoenix that I needed to know. That wasn’t because I had a personal brand, or a blog, or a podcast, or a video show, and I wasn’t even doing any speaking then either. It was just that I had put so much time into it that you just kind of ended up hooking up—you just get wired into the town. That kind of work enabled my company at the time to be the number one online marketing strategy firm in the Southwest for about five to six years in a row. I’m like, “Too much time?” All you’ve got to do is sit at your desk in your underpants and send some emails and type some tweets. Give me a break, man! Try having to go to Rotary and Lions and Kiwanis and the Moose Club every night for ten years. Seth: One of the things that you do really naturally—and we have a chapter on the book about it—“H is for Helping.” Barry and I experienced it because you wrote the foreword for our book. You’re going to learn a lot. And buy a couple of copies. I guarantee, ten pages into it—actually probably just read the amazing foreword—you’re going to want to give that book to somebody else. So buy at least two. Seth: The point that I was getting at is you and I were in this speaking group together, and you were amazingly generous, with your time, with your advice and encouragement. It seems to be part of your DNA. Talk to us about how that impacts your business. Jay: Thank you. I think it is part of my DNA, and I’ve always operated like that going back 25 years. Here’s my operating principle, and I genuinely believe this. Maybe it’s corny, but I feel like everybody is competition, but nobody is competition. Competitors are just collaborators that you haven’t gotten around to doing a deal with yet. A lot of the decisions I make today are not going to pay off for me for three, five, seven, ten years. And I’m totally okay with that. That’s just how I’ve always operated. Barry: We have a chapter about targeting. We have a chapter about creating a unique selling proposition, whereby you sort of perfect your niche and your elevator speech. And then we have a chapter called “Y is the You Do List,” which is about making choices, the things that you do daily and quarterly and long-term, like you just talked about. I’m quoting you from The Visible Expert, again, which you could call a book about personal branding. You say “Every year we look at we’ve done. We come up with a list of 15 percent of activities that didn’t get us ahead, and we stop doing them. The trick to running a successful business is to figure out what you’re uniquely qualified to do and then do only that.” I love that. Jay: People have asked me in the past, “When did you know you made it, or how do you define success?” I get those kind of questions sometimes on entrepreneurship podcasts, and I always answer it the same way. I am there and have been for a while, because I define success thusly: I only spend time on things I want to spend time on—period. We don’t take clients we don’t want to take. We don’t do projects we don’t want to do. I don’t do podcasts I don’t want to appear on. I decide 100 percent how I spend my time. To me, if you can get to that point, everything else is just gravy. Money is gravy. One of the ways we have been able to do that as an organization at Convince & Convert is by being wise about who does what and how our resources are deployed. So one of the classic traps entrepreneurs make—and people who I think are interested in personal branding are entrepreneurs of their own success—whether you’re self-employed or not is irrelevant. If you’re interested in personal branding, you are starting a business, and that business is your own recognition. It is a company of your own design. One of the traps is to say, “I have to do all the things. Because I’m really good at all the things, therefore I must do all the things.” What we do at Convince & Convert is every year we audit my time, and we try to take 15 percent of that time away and give it to somebody else on the team. What happens is that the number of things that I do get smaller, but I’m more concentrated on those things. The more you devote your time to those things, the better off you will be. Look, I’m not embarrassed to admit, we have a community manager at Convince & Convert who does some of my social media. I mean she sends tweets under my name and does some other stuff under my name. I obviously know what’s going on generally speaking, but I’m not so foolish as to suggest that I have to type every single letter of every single tweet. I don’t have time for that. Nor am I uniquely qualified to do. Seth: I think that’s one of the entrepreneur’s dilemmas—relinquishing control is the hardest thing. Jay: That’s such a great point, Seth, and I couldn’t agree more. A lot of times you’re more scared, because you’re like, “If ain’t broke, don’t fix it.” Like, I’ve been a control freak forever. Why do you tell me to not be a control freak? Because the reason I’m successful was because I’m a control freak. It’s like, yeah, but at some point you start bumping up against your natural level. We BS-ed a bit more after that. Watch.